Energy and the management of it is a hot topic these days for many reasons: conserve, control, monitor and manage it. All Safe Technologies allows to do it all. 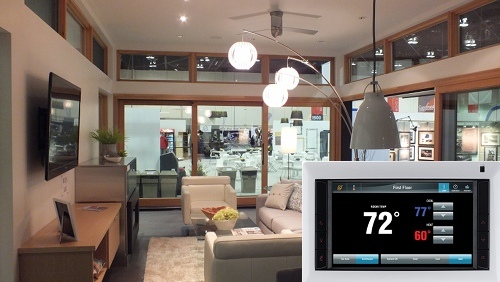 Adding All Safe energy management to your home or business enables you to monitor / control your energy consumption of systems in your home and business such as the HVAC, lights, electronics, and even appliances. Our energy management systems can also give you a detailed history as well as accurate real time usage analysis. All Safe wants to make your home as energy efficient as possible, even monitoring energy created by your solar power, solar thermal or hydrogen fuel cell. Managing energy is no longer just about trying to use less, but also about working towards energy independence. Covering the greater in Gulfport area, All Safe has a highly trained team of technicians that will create and design an energy management system that perfectly suits your needs. We’ll be happy to advise you on your best options and what to expect from your system.